PHP Object Injection is not a very common vulnerability, it may be difficult to exploit but it also may be really dangerous. In order to understand this vulnerability, understanding of basic PHP code is required. And many others. There may be a lot of other undiscovered PHP Object Injections in these or in other very common PHP applications, so maybe you can take a coffee break and try to understand it. It creates an object and call the “PrintVariable” function which prints the variable value. PHP classes may contain special functions called magic functions. Magic functions name starts with “__”, for example: __construct, __destruct, __toString, __sleep, __wakeup and others. Let’s add some magic functions to our class in order to understand how magic methods work. We have now 3 other methods: __construct, __destruct and __toString. As you can see, __construct is called when the object is created, __destruct is called when PHP script ends and the object is destroyed and __toString is called when the object acts as a string. The ‘echo’ function will treat $obj object as a string and the __toString function is automatically called. 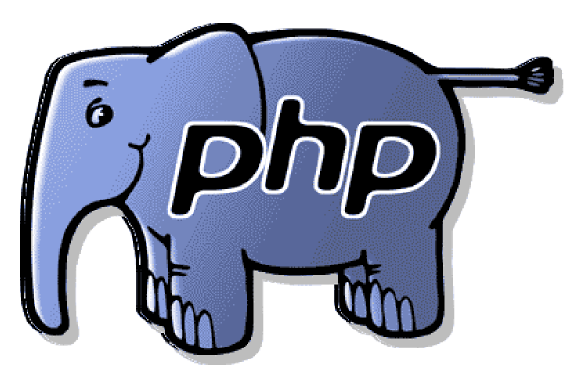 PHP allows object serialization. Serialization is a procedure that allows you to save an object and reuse it later. For example, you can save an object containing some user information, and reuse it later. In order to serialize an object, you need to call “serialize” function. It will return a string representation that you can reuse it later by calling “unserialize” function in order to recreate your object. Let’s take a simple User class, serialize an object and see it’s serialized representation. As you can see, there are class variables and user set data: John and 20. There is nothing related to class method (PrintData), only object data is serialized. Note that __sleep must return an array with serialized variables names. As you can see, we created an object, serialized it (and __sleep was called), created another object by unserializing the first serialized object (and __wakeup was called) and after the PHP script finished execution, the destructor was called for both objects. Now we understand how serialization works, but how can we exploit it? There are multiple possibilities, everything depends on the application flow, available classes and magic functions. Remember that a serialized object contains attacker controlled object values. You may find in the web application source code, a class that defines __wakeup or __destruct and these functions do something that may affect the web application. For example, we may find a class that temporary stores the log into a file. When destroyed, the object may not need the log file anymore, and delete it. As you can see, the code uses the “LogFile” class. There is a call to “unserialize” function using user supplied data and here is the injection point. But what happens if instead of sending a serialized “User” object we send a serialized “LogFile” object? Nothing forces us to send a serialized “User” object, so we can send any serialized object we want. And the “.htaccess” file is now deleted. This is possible because __destruct function is automatically called and we have access to “LogFile” class variables so we can set the “filename” to any value. So this is where the vulnerability name comes from: instead of using an expected serialized object, you inject other PHP object, in order to achieve code execution or other unexpected behavior useful for you as an attacker. Even if this is not the best example, you can understand the idea: unserialize automatically calls __wakeup and __destruct and an attacker can manipulate class variables in order to attack the web application. Even if the “default” exploitability is related to __wakeup or __destruct magic functions, there are other common injection points that may allow you to exploit this type of vulnerability. Everthing is related to the application code flow. For example, a User class may define a __toString method in order to allow the programmer to use the object as a string (e.g. echo $obj). But other class may also define a __toString method that allow a programmer to read a file (e.g. a FileClass). But what happens if we use a serialized FileClass object? What happens if we call the same previous script with our FileClass object? It is easy to understand why: unserialize, instead of creating a “User” object, will create a “FileClass” object. When the script will call “echo $obj”, because the object we supplied is a “FileClass” object, it will call the “__toString” method from “FileClass” class and this will read and output the contents of the file specified by the “filename” variable which we control. It is possible to use other magic functions too: __call will be called if the object will call an inexistent function, __get and __set will be called if the object try to access inexistent class variables and so on. But the exploitation is not limited to magic functions. The same idea will work with normal functions. For example, a User class may define a “get” method in order to find and print some user data, but other class may define a “get” method that get data from the database, resulting in a SQL Injection vulnerability. Or a “set” or “write” method will write data to an arbitrary file, being possible to exploit this and get a remote code execution. The only technical problem is about the classes available at your injection point, but some frameworks or scripts may have an “autoload” feature. You can find more information here: Autoloading Classes. The biggest problem is human: to understand the application code flow to be able to exploit this type of vulnerability, because it may require a lot of time to read and understand code. Do not use “unserialize” on user supplied data. You can use “json_decode“. Even if may be difficult to find and even more difficult to exploit, this can be a very dangerous vulnerability. It may result in Denial of service, Arbitrary file read, SQL Injection, Remote code execution or anything that the application code flow may allow. Interesting read. Fortunately best practice is to use “instanceof” after creating a potentially “dirty” object in this fashion, just to make sure. Obviously this won’t stop the constructor or destructor from being called automatically but at least you can stop further function collisions. I’m not big into PHP programming these days but are people writing such risky functions into their code? In these articles it’s pretty common to see the writer creating code to specifically work with what they’re talking about but it’s tough to see a real-world use for a destructor function that actually deletes files or a toString that executes a function that could theoretically pull a file from the internet (depending on server settings). Using instanceof() won’t help. To use instanceof() you have to have created the object and if the exploit is in __construct() or __destruct() it will get fired (I need to check if there are ways to kill an object without __destruct getting called). You could check the serialized string with a regex but we all know how many holes have been due to poor regex’s. If you must decode an object that the user has controleld the object should be json. You can coerce it into a php object if you must by serializing the jsondecoded object then editing the header from stdobj to whatever you desire and unserializing. It’s a gorss kludge but it works. Interesting article. As you said, “The problem is human”. I believe any PHP developer who is conscious of best practices will not fall into that.